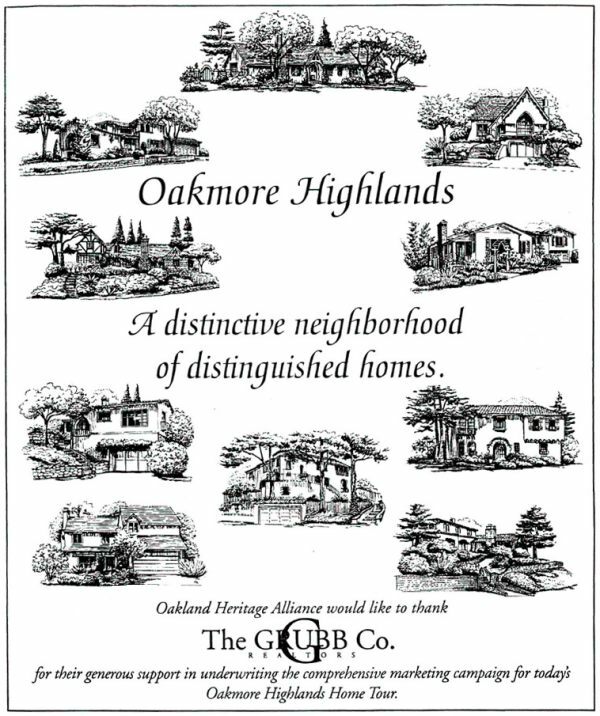 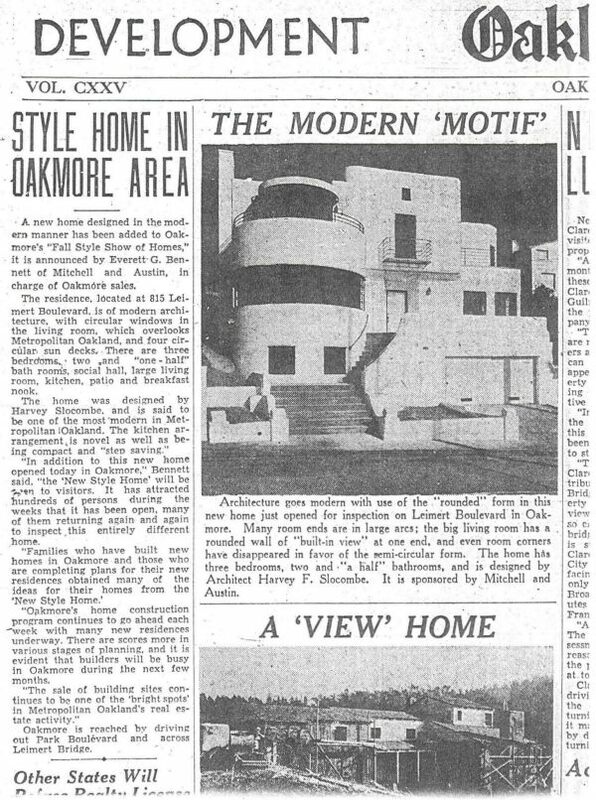 For many years the dedicated members and directors of the Oakmore Homes Association have been preserving copies of historical newspaper clippings, photos and real estate information about our neighborhood. 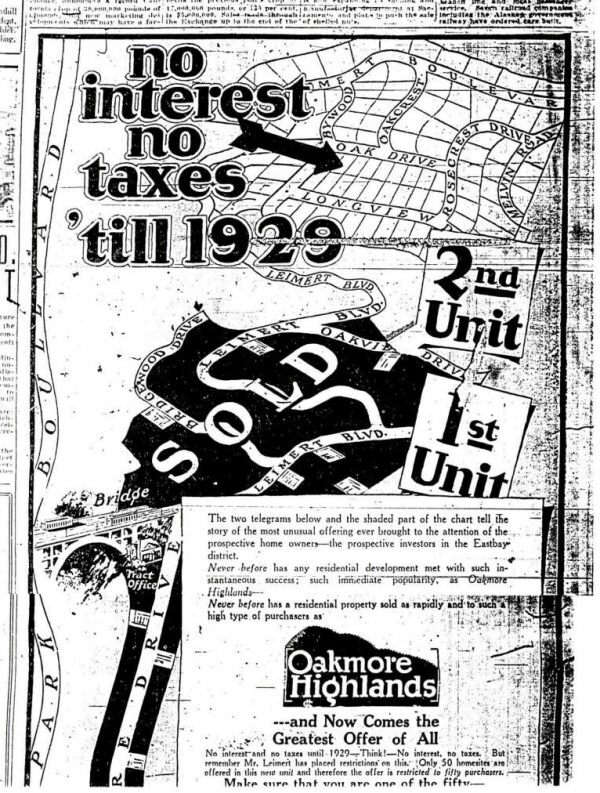 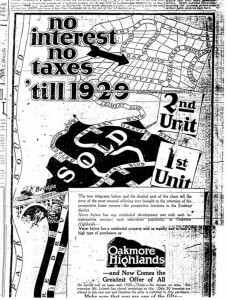 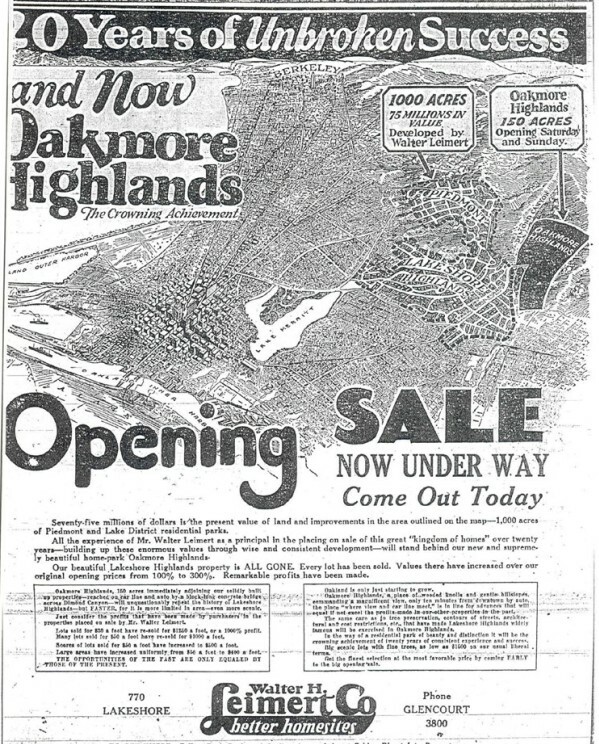 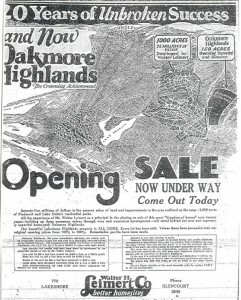 Board Director Terry Kulka has assembled a substantial collection of interesting articles and marketing materials dating back to the original opening of the Oakmore subdivision in 1926. 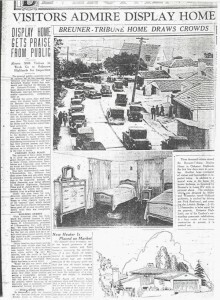 She developed these into an organized historical archive that is referenced frequently by our association. 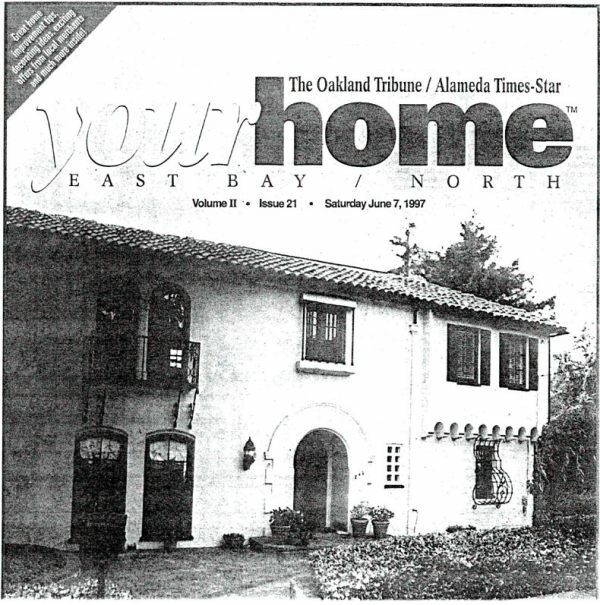 A sampling of the documents appears throughout this website, along with some of the photographs collected by board director Cynthia Haines. 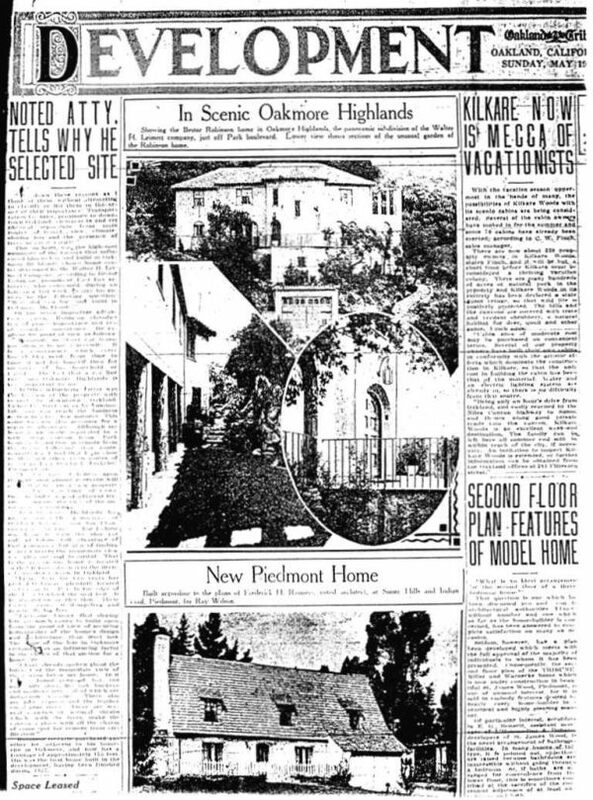 Many of the old clippings are displayed on the bulletin board at Rocky’s Market, in the commercial district near the Leimert Bridge . 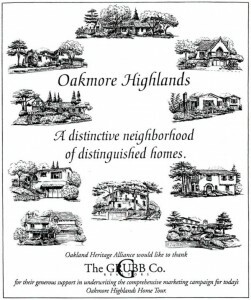 Our Association updates the bulletin board periodically from our archives, to refresh this community display. 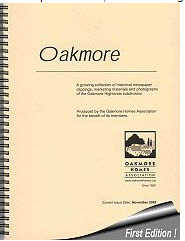 However, due to strong and growing interest in the history of Oakmore, Kurt Lavenson created a bound version of the archive, which is now available to association members. 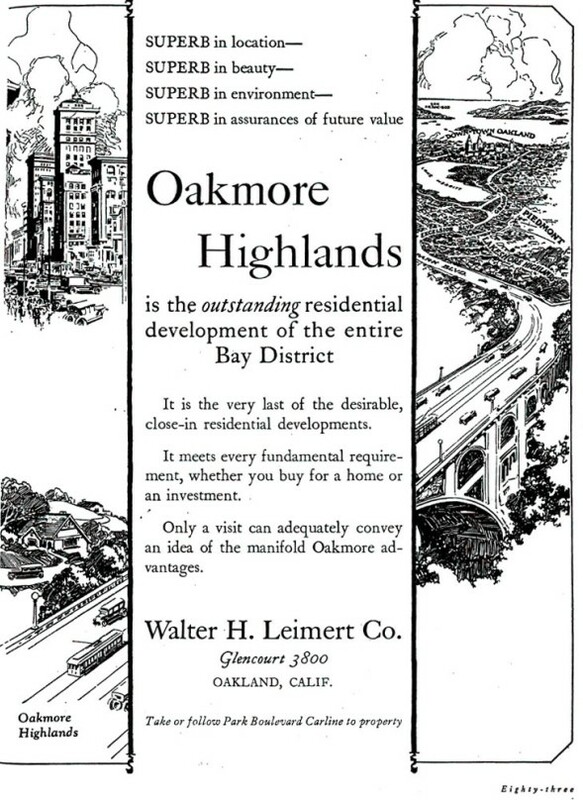 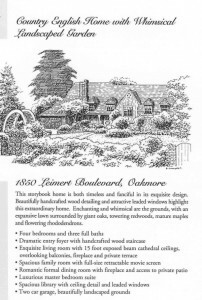 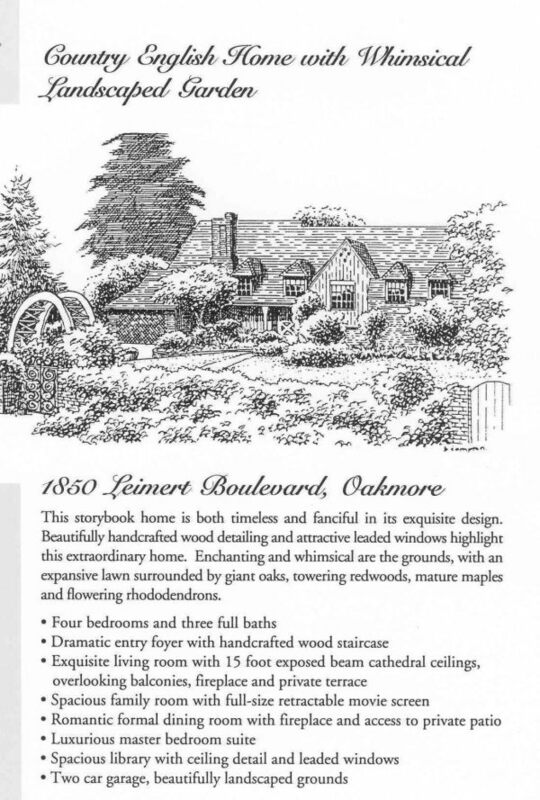 Reading through the materials inside, one gets a sense not just of Oakmore’s neighborhood history but of the evolution of the real estate market in the Oakland and Piedmont areas. 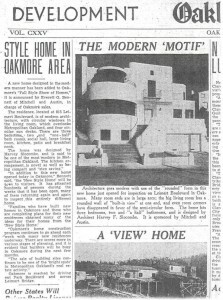 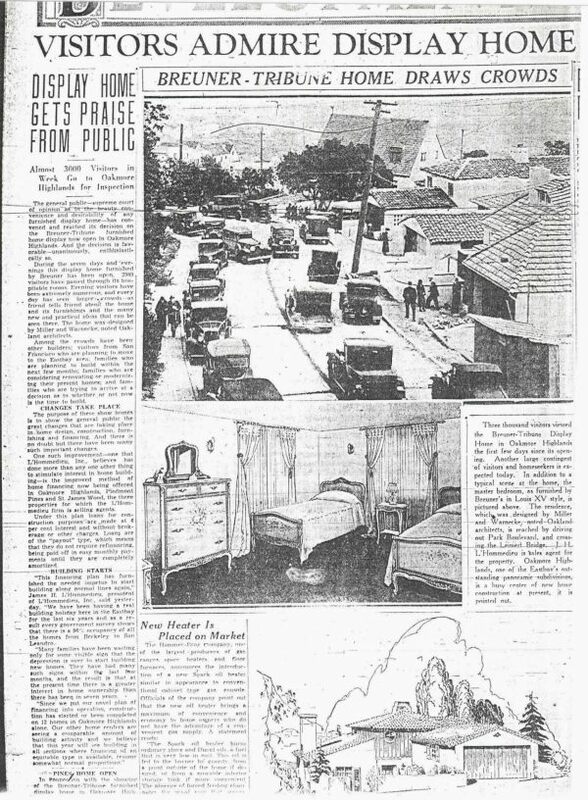 Images courtesy of The Oakland History Room, Bosko Photography, The Oakland Tribune, The Hills Group Montclarion Newspaper, The Grubb Company, Wells and Bennett R.E., Coldwell Banker R. E., Oakland Historian Dennis Evanosky.